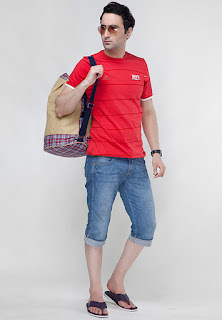 T-shirt, shirt and casual clothing for all: Where to wear funky t-shirts? Funky t-shirts are the new trend; people wear them beneath their coats and blazers. But, every outfit has its limitations similarly; these funky tees have their own limitations. There are different types of funky t-shirts, some have funky graphics, cartoons, and some have some quirky quotes printed on them. You can pick up anything that you like, but just make sure that it goes with your personality and the kind of person you are in your life. Do not wear any kind of stupid quotes which showcase your image as a self centered human being. Pick up some light humored t-shirts which have words inscribed as ‘My dad is an ATM’ and the likes. Such t-shirts look good and give a good impression of you. These tees are for casual outings; do not wear them to any formal event or gathering where people from the high society come. You would make an impression which will not be able to change. You can wear such t-shirts to semi-formal events, if the tees have some kind of stones studded on them or else look a little glitter. Such t-shirts can be worn beneath your coat and they would really look stylish. Again, they cannot suffice the requirement of a formal wear. You have to restrict them to your casual outings, clubbing, weekend getaways, and relaxed wear for home. Brands that you can check out to buy t-shirts are Alcott, Adidas, Calvin Klein, French Connection, Espirit, Puma, Flying Machine, Free Authority, Jack & Jones, and many more.